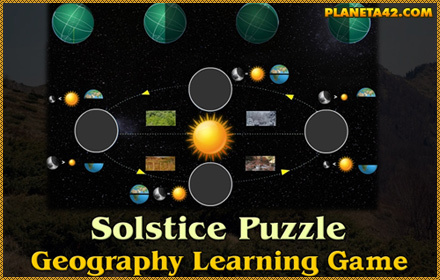 Knowledge Level Games News - Solstice and Equinox Online Puzzle. P42 Release date EU 22.09.2017 year. For today's Equinox, a new Planeta 42 geography educational game. of Earh - Sun position during the year. Also fun exercise in classes.